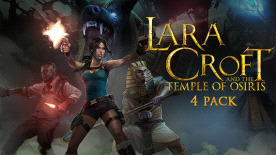 Includes four copies of Lara Croft and the Temple of Osiris - Send the extra copies to your friends! Please note: this title contains one key. You will receive 3 giftable copies in your inventory upon redemption.